The 2016 Biltmore International Rose Trials got underway on Saturday in the walled rose garden at the magnificent Biltmore Estate in Asheville, North Carolina. Judges from around the country converged on the garden for one final review of the entries before the winners are announced. Roses in the trial are grown in no spray conditions for three years and are evaluated by a permanent jury of judges multiple times per year. The roses are judged on various criteria ranging from overall garden presentation to disease resistance and the presence of fragrance. 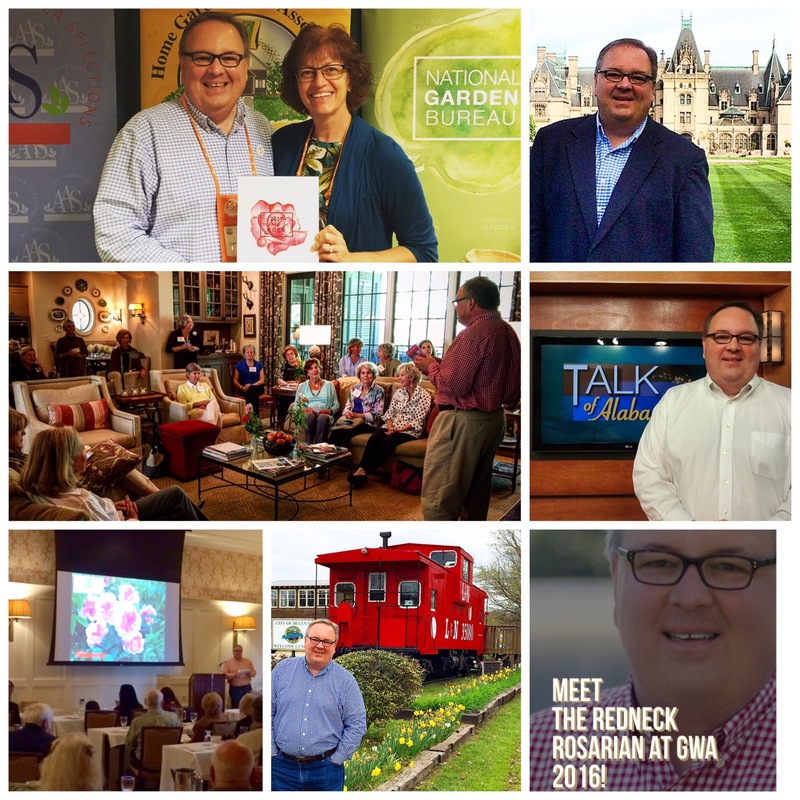 The culmination of these efforts are realized as the results are tabulated and the winners are announced and I was honored to be among this years judges. Tina & I ready for a day of judging roses! Congratulations to the winners. 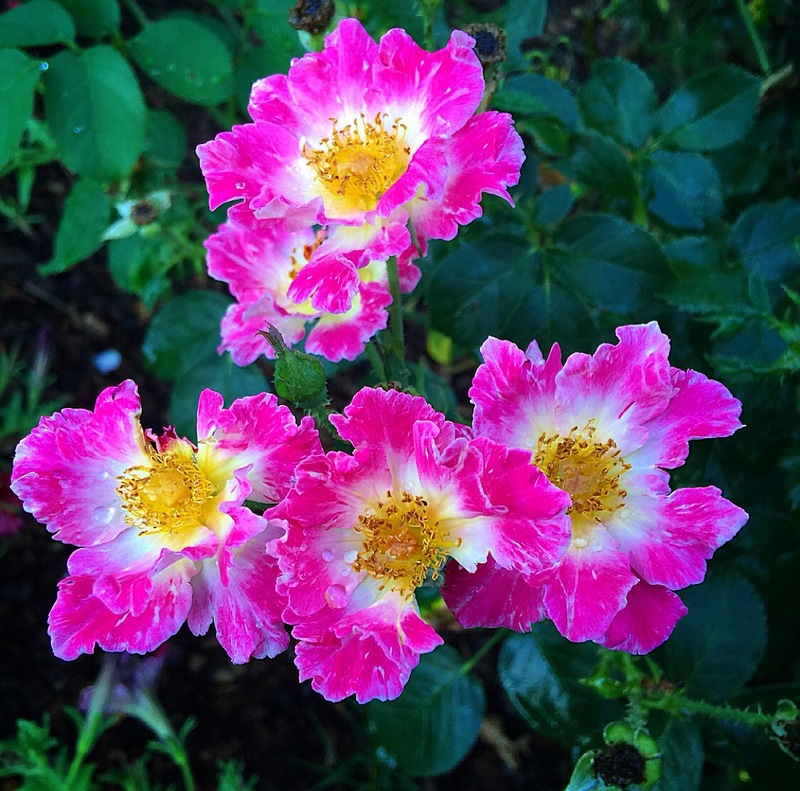 The Biltmore International Rose Trials is an ongoing effort and is coordinated by Paul Zimmerman. The staff at Biltmore Estate are to be commended on continuing the horticultural legacy of George Vanderbilt that began in 1889. Hybridizers from around the globe submit roses to the trial each year an is open to all amateur and professional hybridizers. On the whole, I average 25-75 emails per week from folks asking rose related questions. About 25% of those are questions related to how to grow roses from seed. Growing roses from seeds can be done. It takes patience. To produce a mature rose shrub from a seed is a multi year process and is not for the faint of heart. the ‘Osiria Rose’ – is actually a rose but is not sold in the U.S. Many times people who write to me have already purchased seeds. Sometimes, they send along an exotic photo of an unusually colored rose supposedly grown in some far off land. They always tell me that they spent $$$ (+ Shipping & Handling) and are very disappointed with the results. Either the seeds failed to germinate or they produced a totally different bloom than what was advertised. Or, the shrub is spindly, sickly and rarely produces any blooms at all. Not quite living up to the hype that the Pinterest or Facebook post promised. Black Roses DO NOT EXIST – No color combination in the genus rosa will produce a black rose of any kind. With each message, I can just feel the sense of frustration of the writer. As someone who has been growing roses for many years, the roses advertised on these websites do not exist in commerce in the United States for a reason and some do not exist at all. There are no naturally grown black roses. No matter what you read, they do not exist. When you see a black rose, it has been dipped or artificially colored or photoshopped. Don’t buy it. The multicolored rose you see pictured below is a figment of someones imagination. This rose is not grown in any garden anywhere. This rose is a total fake. Don’t buy claims that it’s rare and only grown in a village by mute monks. It ain’t happening. Don’t waste your time and money. For a beautifully grown multicolored rose, take a look at what’s real and readily available in commerce in the U.S. Try Mardi Gras or Cotton Candy Cocktail on for size. Stick to your local rose society and other rose growers who can show you what’s really involved in growing roses from seeds. It takes a lot of time and patience. I know a lot of folks who grow roses all around the world and none of them, except for a few professional hybrizers are growing roses from seedlings. Nearly ALL roses today are grown from cuttings or grafted onto rootstock. I always suggest folks invest time into learning how to root roses from cuttings rather than growing from seeds. Many old rose varieties are very easy to root. Try Old Blush & Mutabilis, are a few that come to mind. In my mind, these urban legends are a big reasons why people get frustrated growing roses. They feel let down after trying in vain to do something that typically only professional hybridizers do. Don’t buy into the legend. For the back yard gardener who’s just looking for pretty roses for their garden, don’t be taken in by the hype. 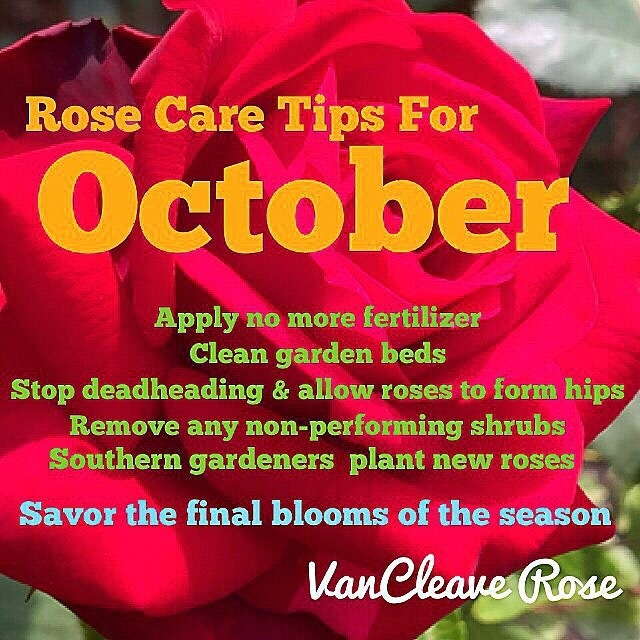 Stick to reputable nurseries that will provide you with quality roses that you’ll be happy with. With the dog days of summer upon us, the majority of my gardening chores are done in the early morning or in the late evening. More and more, I am finding myself sitting on the porch under a box fan with a cool beverage and reading a good book. An early adopter in many respects, I must confess that I have never been able to convert my reading habits from a book to a nook or other electronic reading device. There is just something about the feel of a book, the smell of a book, the satisfaction you get when you complete a book and can snap it shut, after being filled with its knowledge. I am a firm believer that everyone should have a personal library of the books that they love. Electronics often fail, things get lost in the “cloud”, but I can always go to the shelf and pull off the book I need and soak in its goodness. I typically purchase books all throughout the year, but find myself reading them in summer and winter. Below are the books I’ve been basking in this summer. All are worthy of your time. Some are available on your reader, but I’d like to challenge you to pick up a hard copy and sit back and enjoy a good old fashioned read. This book combines two of my favorite subjects: Roses & History. Did you know that Arlington National Cemetery was once Mrs. Robert E. Lee’s Rose Garden? It’s a fascinating read of how this very personal garden became sacred ground for our nation. A little short on roses, but full of the type of colorful history that history lovers are drawn to. C.L. 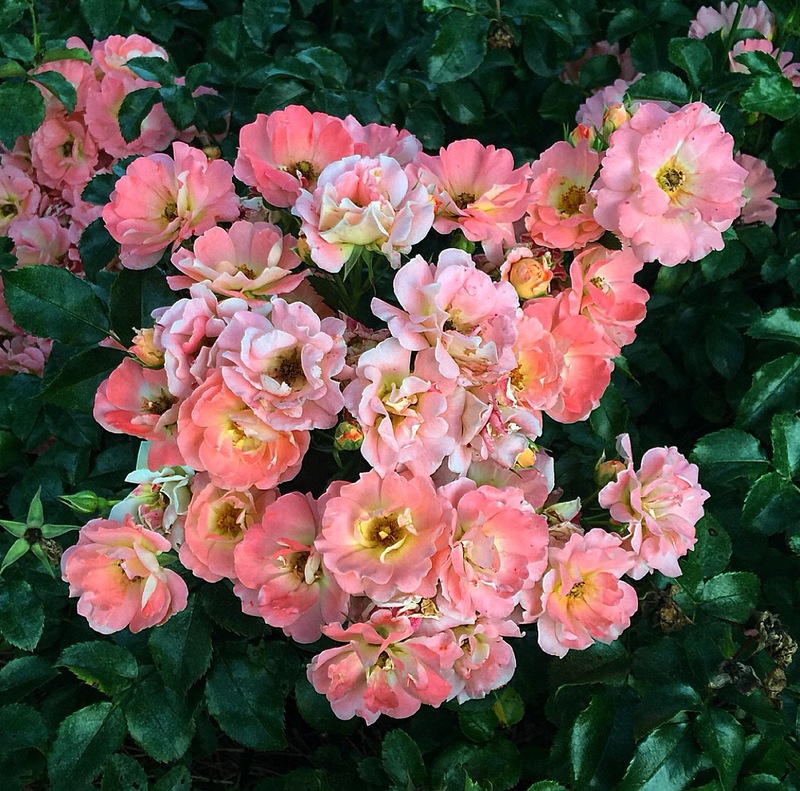 Fornari, author of the popular Coffee for Roses has published another winner. “The Cocktail Hour Garden”. It’s a wonderful guide for creating a garden space that’s perfect for entertaining. With chapters covering topics on Fragrance in the garden, Illumination and my personal favorite Herbs, Flowers and other Beverage Ingredients, this book is delightful to read and is an excellent reference guide. This travel guide explores some of the deep south’s hidden treasures. It seeks to introduce the reader to the pleasures of exploring historic America – in particular, beautifully restored homes in our beloved South. The book covers 68 such sites with directions, opening times and entrance fees. A must for southern history buffs. Thus far, my favorite read of the year, author Marta McDowell weaves a wonderful story of the ever changing gardens of the White House. From roses to veggies, there is a little bit of something for everyone in this book. Stewart & Nancy Myers of Myers Plants and Pottery presented me with this wonderful book on roses written by two rose growing legends; J. Horace McFarland and Robert Pyle. This book features timeless advice on the care and keeping of roses. Originally published in 1937, It is a volume I will treasure. I hope you’ll take the time to check out some of these awesome books. They’ll expand your knowledge and sense of connection with the natural world around you. The heat of summer as arrived in Alabama. Temps are climbing into the nineties every day now. Some of our roses will go into a dormant state at this time of year and some varieties just bloom their hearts out. This post is dedicated to the bloomers of July. 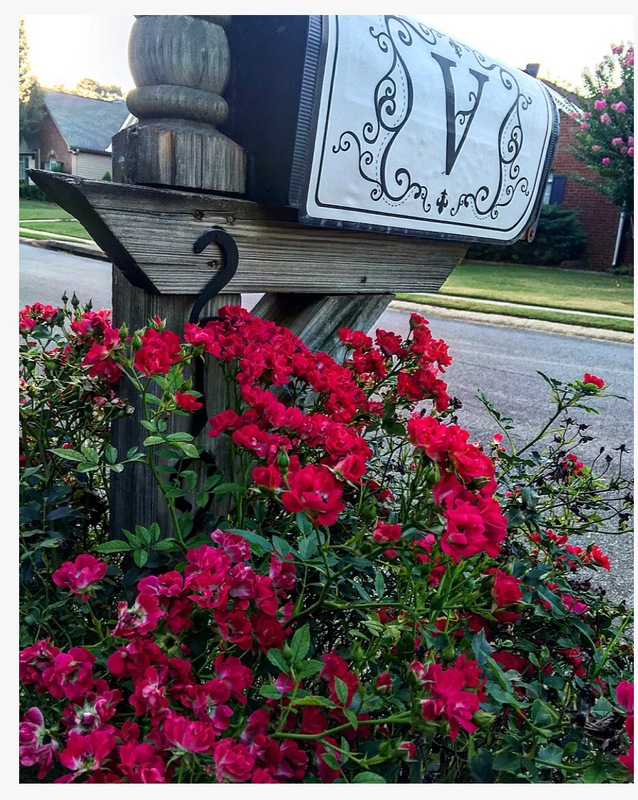 Red Drift is ablaze with color around our mailbox this week. This rose never fails to please and is the topic of conversation to many who pass by. Caldwell Pink is in her second flush of blooms this week. I just love the button center on this rose. Don’t you just love the color of this rose? When Peach Drift blooms, she really puts on a show. A low grower, we planted this rose in a row of three beneath two tall crepe myrtles and they are ablaze with color this week. First year in our garden and Water Colors Home Run is proving to be an excellent bloomer! Love the variation of color on the bloom and the contrast to the stamen. A very showy shrub. Despite the heat, these roses seem to thrive. All of the varieties mentioned in this post are disease resistant and require no special care other than a haircut, water and some fertilizer. Here’e to the bloomers of July! What’s blooming in your garden this month? Advocacy is defined as “public support or a recommendation for a particular cause or policy”. It’s no secret that I have long been an advocate for roses. Whether it’s traveling on a national speaking tour speaking to rose societies on remaining relevant in the social media age or standing in the baking sun at a local garden center showing a crowd of interested rose lovers just how easy it is to grow a rose or speaking out when legislators try and remove a historic rose garden from our midst, I believe we must be advocates for the things in our lives we love the most. Help someone in your neighborhood plant a rose. Sometimes all it takes is an offer to help and that one act of friendship could create a world of change in that persons life. The bloom of a rose is empowering and if we can help place a little knowledge and know how into someones life, we’ve done a good thing. Join a local rose society. 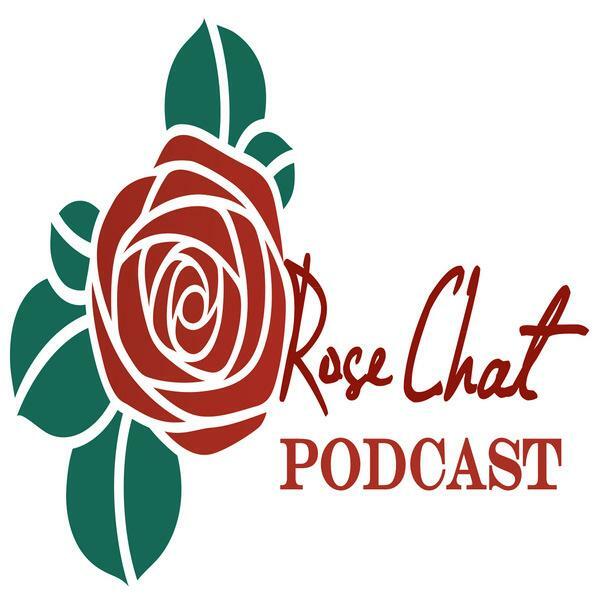 We all need advice a local rose society is ground zero for the mother ship of rose societies, the American Rose Society. Both are ready to help you with knowledge and information on growing roses. Check out Rose.org for more information. 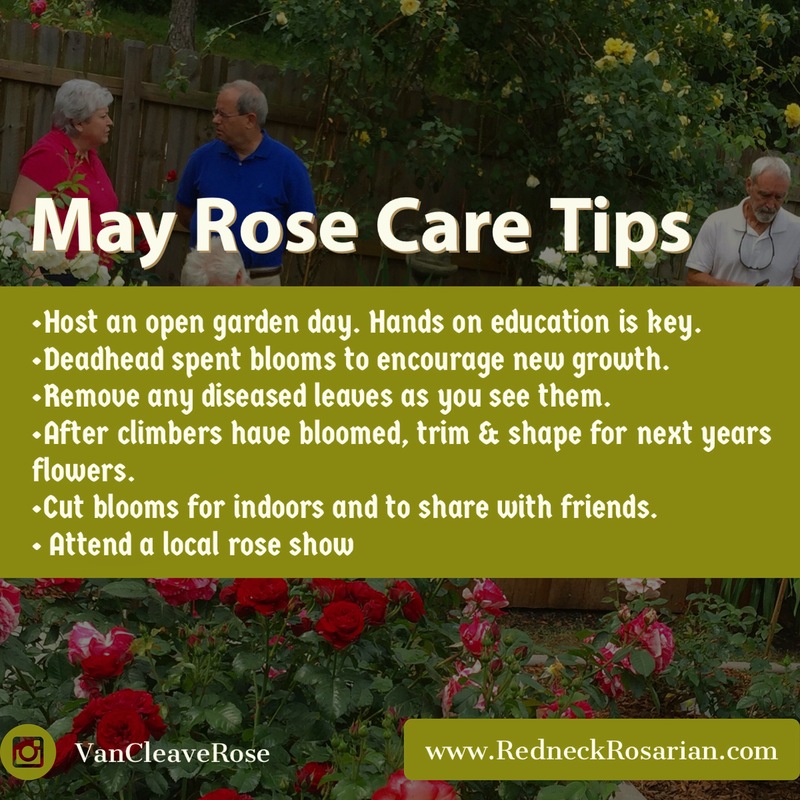 If you’ve been growing roses for a while, why not volunteer at a local garden center to teach a class on growing roses? If your not a public speaker, remember I was a shy introverted kid growing up who was too scared to raise his hand in class. Ha. If I can do it, anyone can. You don’t have to be perfect, Lord knows I am not, you just have to be genuine. The #1 thing I do that has spread the love of roses to those around me is to share my blooms. Cutting a few blooms and delivering them in a jelly jar will do a world of good for a downtrodden soul. Give it a try. It was a great honor to receive a tweet from Helena Mayor Mark Hall last week telling me that I was on the cover of the June issue of Shelby Living Magazine! This magazine is a popular business and lifestyle magazine. The folks from the magazine had visited my garden but I had not idea I was their cover guy! What an honor! 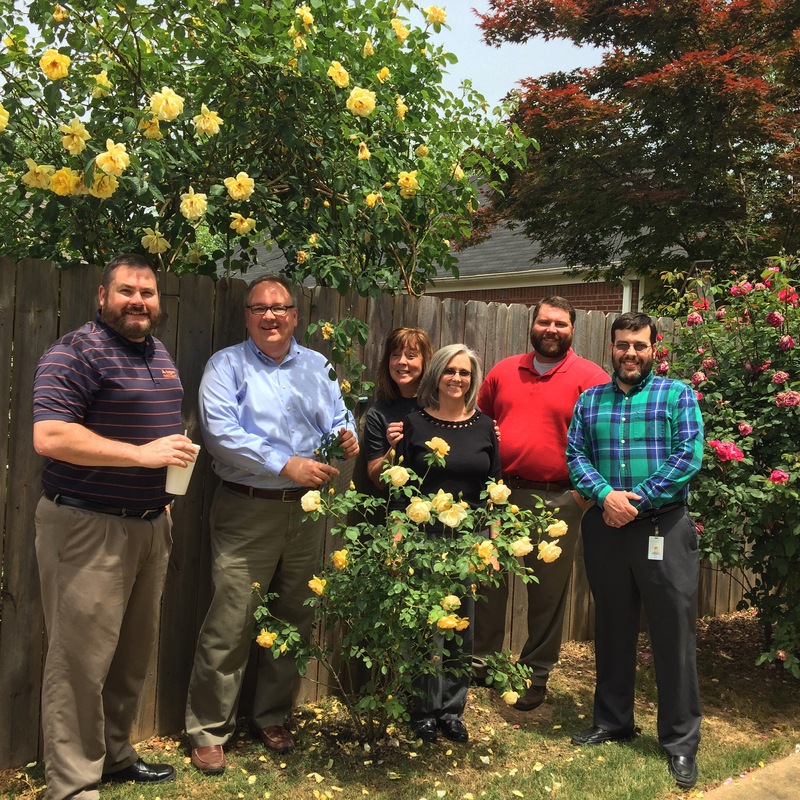 What a great way to kick off National Rose Month! How will you become an advocate of roses? I’d love to hear all the creative ways you share your love of growing roses with the world around you. Leave your comments below. Many thanks and happy rose month! All the world loves a rose, so it was no surprise to me that an entire month is set aside to celebrate the world’s most beloved flower. June is National Rose Month. 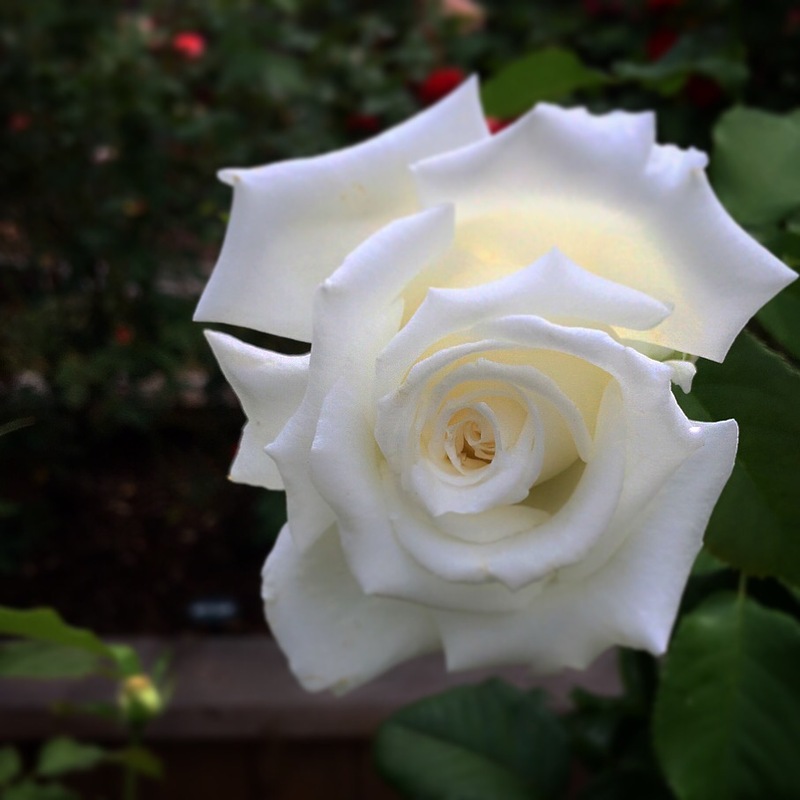 Did you know that in 1986 President Ronald Reagan signed a proclamation making the rose our “National Floral Emblem”? Many think of it as our national flower or America’s Flower. Now, this was not the first time a resolution was put forth to designate a national flower. In 1965, Everett Dirksen, statesman from Illinois introduced senate joint resolution 19 which would designate the American Marigold as our National Floral Emblem. Apparently, it did not gather much steam, and in 1967 was put forth again with a recommendation that it again be sent to the committee of the judiciary for implementation. In his remarks, he sets the marigold on a high pedestal. “It is as sprightly as the daffodil, as colorful as the rose, as resolute as the zinnia, as delicate as the carnation, as haughty as the chrysanthemum, as aggressive as the petunia, as ubiquitous as the violet, and as stately as the snapdragon. It beguiles the senses and ennobles the spirit of man. It is the delight of the amateur gardener and a constant challenge to the professional.” Alas, the resolution never passed. I think I can state with total honesty, that I have never been as beguiled by the marigold, as I have been the rose. The rose to me, is a true reflection of our national spirit. Growing roses takes time and knowledge and they are not the easiest flower to grow, just as our nation was not formed with ease. But was formed by the blood and sweat of willing men and women who were yearning for a “more perfect union”. Just as the nation stands as a beacon of hope, so does the wonderful magical rose. Hope for a sweetheart who embraces a bouquet and the promise it brings. Hope for the aged as they receive roses from a stranger and hope for an aspiring gardener who enjoys the flush of a spring bloom. Hope for all humanity……..
Below is the text of Resolution 5574 which designates the rose as our National Floral Emblem. It inspired me. I hope it will do the same for you! Now is the time to plan for Spring planting! 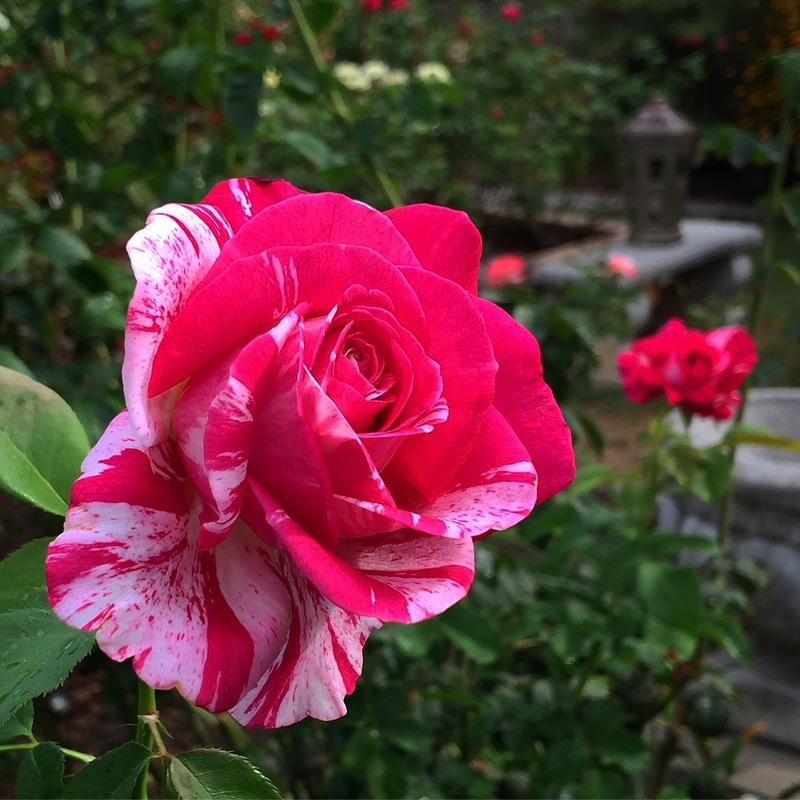 Order roses early…..
Americans have always loved the flowers with which God decorates our land. More often than any other flower, we hold the rose dear as the symbol of life and love and devotion, of beauty and eternity. For the love of man and woman, for the love of mankind and God, for the love of country, Americans who would speak the language of the heart do so with a rose. We see proofs of this everywhere. The study of fossils reveals that the rose has existed in America for age upon age. We have always cultivated roses in our gardens. 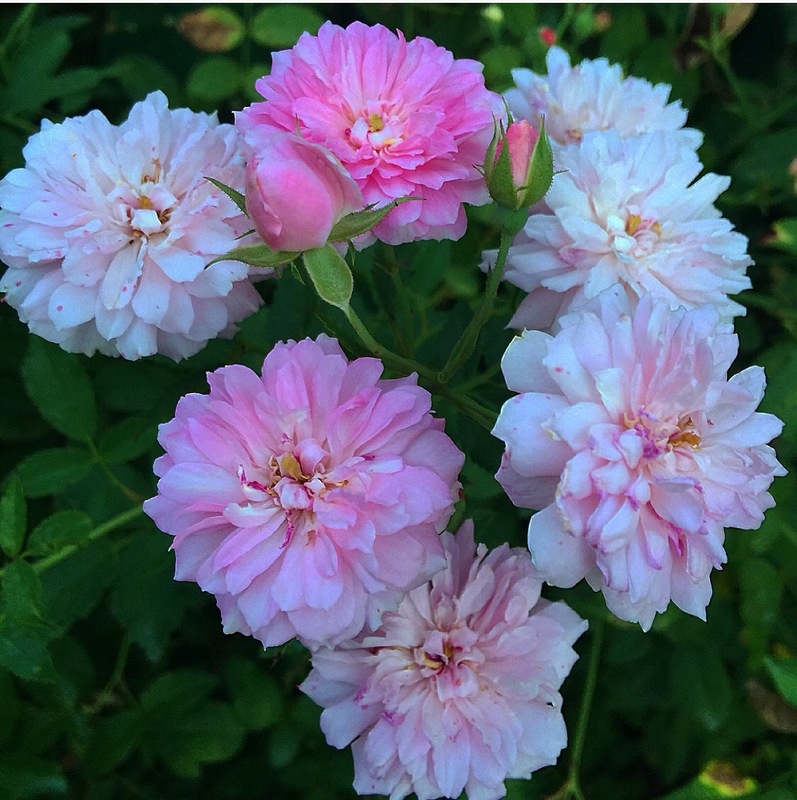 Our first President, George Washington, bred roses, and a variety he named after his mother is still grown today. The White House itself boasts a beautiful Rose Garden. We grow roses in all our fifty States. We find roses throughout our art, music, and literature. We decorate our celebrations and parades with roses. Most of all, we present roses to those we love, and we lavish them on our altars, our civil shrines, and the final resting places of our honored dead. The American people have long held a special place in their hearts for roses. Let us continue to cherish them, to honor the love and devotion they represent, and to bestow them on all we love just as God has bestowed them on us. The Congress, by Senate Joint Resolution 159 [Pub. L. 99-449, now this section], has designated the rose as the National Floral Emblem of the United States and authorized and requested the President to issue a proclamation declaring this fact. NOW, THEREFORE, I, RONALD REAGAN, President of the United States of America, do hereby proclaim the rose as the National Floral Emblem of the United States of America. IN WITNESS WHEREOF, I have hereunto set my hand this twentieth day of November, in the year of our Lord nineteen hundred and eighty-six, and of the Independence of the United States of America the two hundred and eleventh. Wow! It’s already May and my Deep South rose garden is in a glorious flush of spring blooms. We hosted our first Open Garden Day last weekend and had about 80 folks join us in the garden. 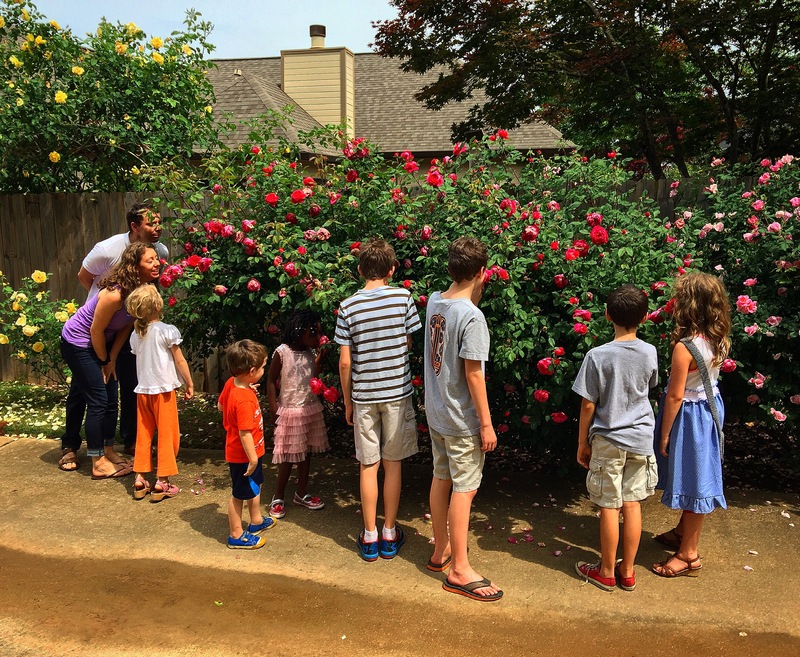 What a blessing to see folks ages 2-85 come and experience the beauty of a rose. It was a great opportunity to answer any question people had about their own roses. As this first flush of blooms fade, it’s a reminder to me to deadhead my blooms, get my climbers ready for next year by trimming and shaping them after they’ve bloomed. We always cut blooms to bring in the house and our jelly jars are filling up with blooms to share with friends. 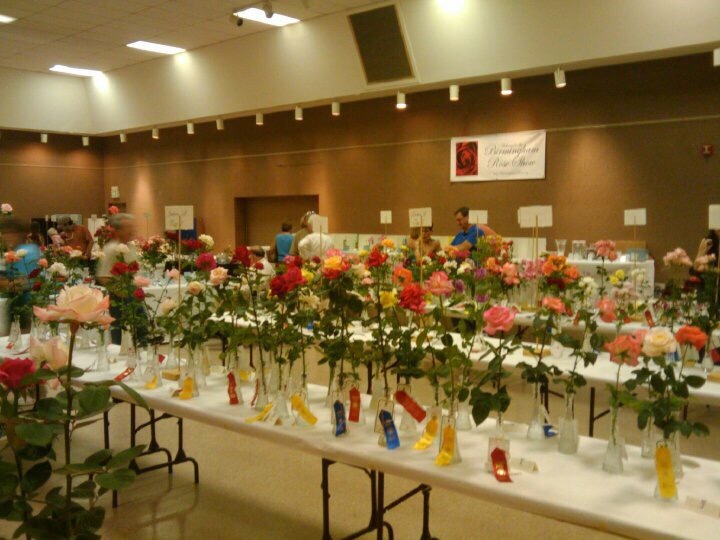 We’ll also be attending our local rose show. Check out Rose.org to find a show near you. I have long wanted a potting bench. One that would allow me a central location for all my stacks of pots, soil, tools, amendments and maybe, just maybe a dirt drawer. Today’s routine is something like this: Enter the garage, search for a pot among the stacks. Search for the bag of potting mix. Not the store bought one, but the one I mixed up last week. Then, where’s my trowel? Frustration ensues. You get the picture. Gardening is supposed to be fun, right? I have long given up on being able to construct one myself. I can never remember “cut twice, measure once..” is that how that goes? So, I enlisted the help of a local carpenter. Russell Schollian is a local carpenter/weekend warrior who makes upcycled wood projects with amazing results. I wanted a rustic potting bench, to be left outdoors in our side garden. Preferably made from recycled wooden pallets. I wanted a potting bench that was a good height; to save the aching back. One that had a good sized shelf below for pot storage, that elusive dirt drawer and a place to store my essential potting tools. I had seen one online one that I liked and I sent him a link and asked him if this was possible. He said “no problem”. In less than 7 days, he produced an outstanding rustic potting bench for my garden. Look y’all! It even has a dirt drawer. I was super pleased with the outcome and could not wait to get it home. Some folks are just naturally skilled in this area and I am glad to have sound someone in my neck of the woods that does outstanding work. With Spring underway, I very quickly put this bench to work as we began potting up many containers for the blooms season ahead. Could I have just ordered one of these online from a large retailer? Yes, but I am a firm believer in supporting local enterprise and those who use their skills to meet needs. That’s what makes a small businesses successful. I needed a potting bench, and he had the skills and ability to make that happen right where I live. It’s a win win situation. If you live in Alabama and need a top quality rustic potting bench for your gardening needs, give Russell a shout. His phone # is 205-514-4241. He’ll be glad to talk to you about building a bench for you or maybe other projects you have in mind. He is very easy to work with. You can count me as one happy gardener this Spring. Roses are blooming, I have a new potting bench and I rest in the knowledge that gardening success can be achieved for us guys after all. Happy Spring! What’s blooming in your neck of the woods this week? Who The Heck Cares Whether You Save A Rose? “Who the heck cares whether you save a rose?” The words of the late Barbara Oliva, rosarian and a former curator at Sacramento’s Historic Rose Garden have resonated in my mind this week as I read the news of the City of Sacramento’s plans to remove and or attempt to relocate one of the world’s most prized collections of roses at its historic City Cemetery. This story has sent shock waves around the world as the news spread that this prized collection of roses was in peril at the hands of bureaucratic lawmakers in Sacramento who have probably never even bothered to visit this magnificent resting place for those helped settle their town. We implore them to spend some time with the roses before making decisions. The comments above seem promising but are fraught with error. The statement says that many of the roses were planted in the 1990’s, and the statement that only two percent are old garden roses is inaccurate. This gives the impression that there are varieties easily obtainable in commerce today. The truth is that the roses planted during that time were from cuttings of antique roses obtained by caring volunteers from roses that have since disappeared from commerce or are very rare, many of which only live in this garden and in the hearts and minds of those who once grew them. 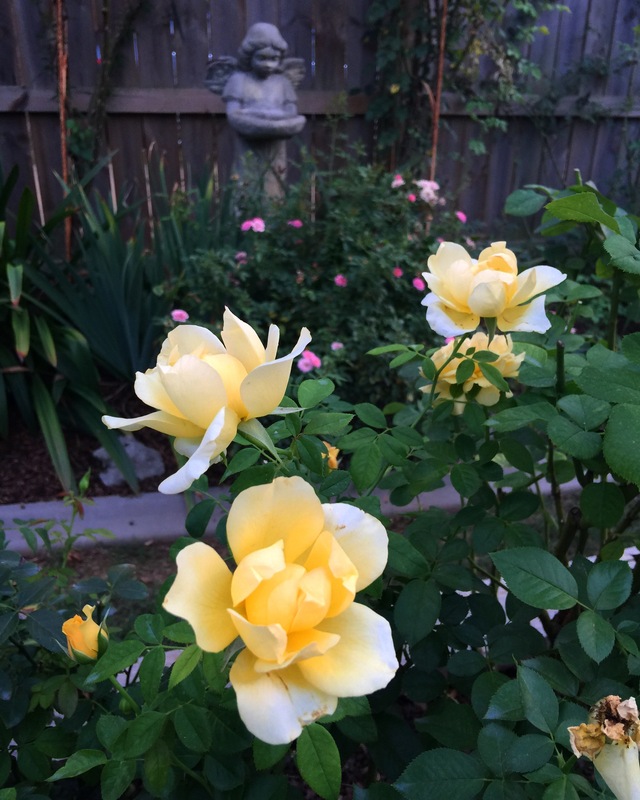 I do not believe the elected officials in the city of Sacramento know what a treasure it has in this garden, nor do they recognize the international significance of this collection of roses. As someone who has been growing roses virtually all my life, I can tell you that many of these old roses, especially of this size and stature growing on arches, would NOT survive if cut and moved to the stone fencing that surrounds the cemetery. As an advocate for roses in this country, I know all too well the great disconnect that often exists between City Hall and parks employees. I implore Mr. Shirey, the City Council of the City of Sacramento, the National Park Service, the Volunteers who work tirelessly to help maintain and preserve this garden along side the city’s dedicated parks employees to work TOGETHER as a TEAM to save the beauty and allure of this garden, while maintaining a resplendent resting place for those who endured “many dangers, toils and snares” to bring the city of Sacramento to life and they deserve a resting place that befits their struggle. So, to answer Barbara’s question, “Who the heck cares whether you save a rose?” I do! And, she did and I know tens of thousands of rosarians around the world who care. A literal legion of people who care about the history and significance of the world’s most beloved flower and I ask that you voice your opinion to those in charge in Sacramento. I am calling upon rose lovers from around the world to unite in this matter and to show their support for the rose and is preservation. Please write to City Council members and the Mayor asking them to SAVE THE ROSES at all costs, even if it means turning down the NPS Historic Site designation. Please share this post, tell everyone you know that this is happening and to be vigilant in your own communities so that we don’t let another rare and endangered rose fall at the hands of an uninformed electorate.